When middle-aged women experience panic attacks, they report having difficulty breathing, being nauseous or lightheaded, feeling pounding in the chest, or a fear of dying or having a heart attack. These symptoms are mainly a consequence of the fight-or-flight response of our sympathetic nervous system when faced with a threat. Defined as a heart rate exceeding 100 beats per minute, tachycardia is a direct result of the fight-or-flight mode activation, caused by an increased release of adrenaline to prepare the body to handle the danger. It is a rapid over-breathing, during which the body exhales a lot of carbon dioxide, but inhales large amounts of oxygen. Hyperventilation can also worsen tachycardia, too. 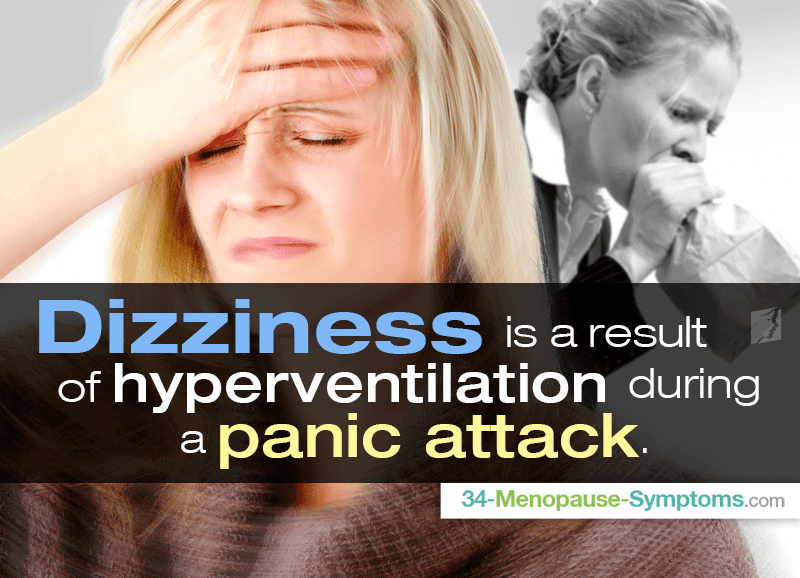 Dizziness, including a slight vertigo, is a result of hyperventilation during a panic attack. Many women appear unsteady on their feet while going through a panic episode. It can be accompanied by hot or cold flashes, and it is a common sign of panic attacks, which results from an exaggerated stress response and hyper-stimulation of the systems in the body. It is a medical term for muscle shivering, which can sometimes be visible to the naked eye. It occurs due to high adrenaline release, while the body is preparing to fight or flight. It is a condition that causes ringing or buzzing in the ears, and it can often precede or accompany a panic attack. Tinnitus is believed to be the result of an increased electrical stimulation in the brain. It is a medical term for numbness, burning, or tingling sensations on the skin. It is caused by decreased carbon dioxide levels in the lungs and blood, causing significant pH changes. It results from the adrenaline rush, which disrupts the environment in the stomach and intestines. Moreover, the fight-or-flight mode also shuts down the digestion, which can worsen the unpleasant sensation. Phobias, severe fears of certain situations or objects, can be a sign of long-term panic attacks as they are usually formed over time. Panic attacks trigger a cascade of physiological and psychological events, often creating a vicious feedback loop. Most of the symptoms reported by women suffering from panic attacks, such as choking sensation or unreasonable fears, are subjective, and therefore, they are difficult to be seen and evaluated by doctors. To better understand the symptoms of panic attacks, you might be interested in learning how to recognize it. Panic attacks might be difficult to diagnose, but there are tests to ensure they do not signal more serious conditions. Click here to learn more.